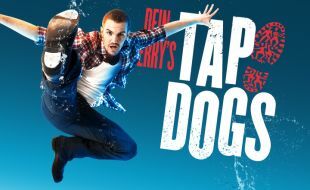 Australia’s most successful theatrical export, Dein Perry’s Tap Dogs, is making its way to the Teatro this August. This global dance sensation has appeared in over 330 cities, and 37 countries and 12 million people have now been dazzled by the energy and imagination of these unique performers. Dein Perry’s TAP DOGS continues to take the world by storm and it set to tap, beat and dance its way through 2018 and 2019. Now it’s South Africa’s turn to experience the award-winning show that has been described as "Part theatre, part dance, part rock concert and part construction site!” BBC UK. It features high-energy dance, theatrical performance and live music performed by a cast of six dancers and two musicians who will bring the steel works to life in a fast paced, unstoppable spectacular that is the perfect show for anyone from 8-80. FREE WIFI? We’ve Got It!